That also creates the needed bias node connections automatically. Genann implements backpropagation, of course, but it also has another trick that most ANN libraries ignore. 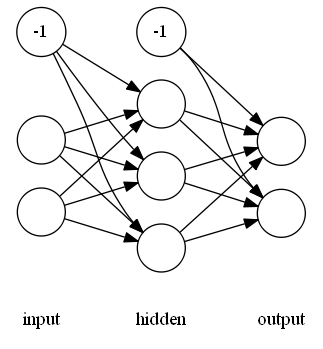 Backpropagation is good for supervised learning, but not reinforcement learning. Genann supports reinforcement learning by keeps all of its weights in one contiguous block of memory. This means that it is very easy to optimize the weights directly using numerical optimization techniques, such as the genetic algorithm. If you have need for a minimal, no-frills ANN library in ANSI C, I encourage you to take a look at Genann. You can find documentation and several examples here.